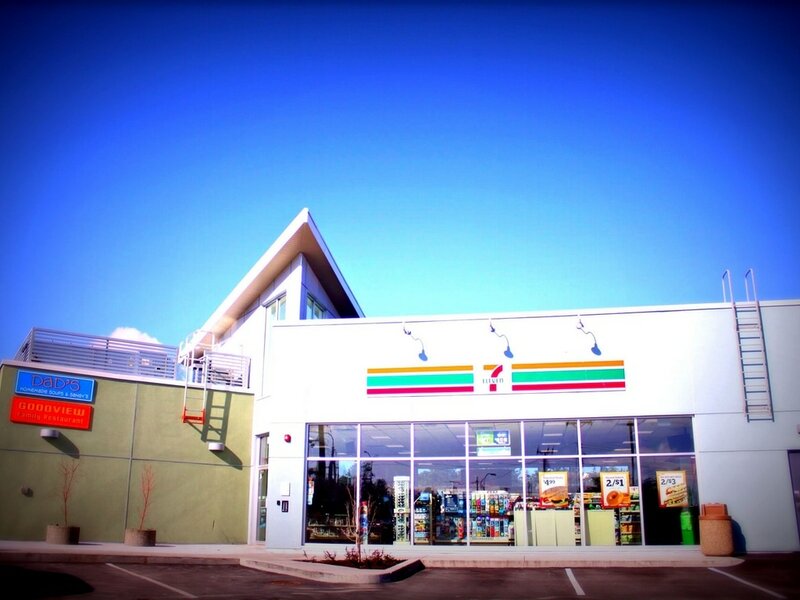 "Service is our business. Satisfaction is our guarantee." 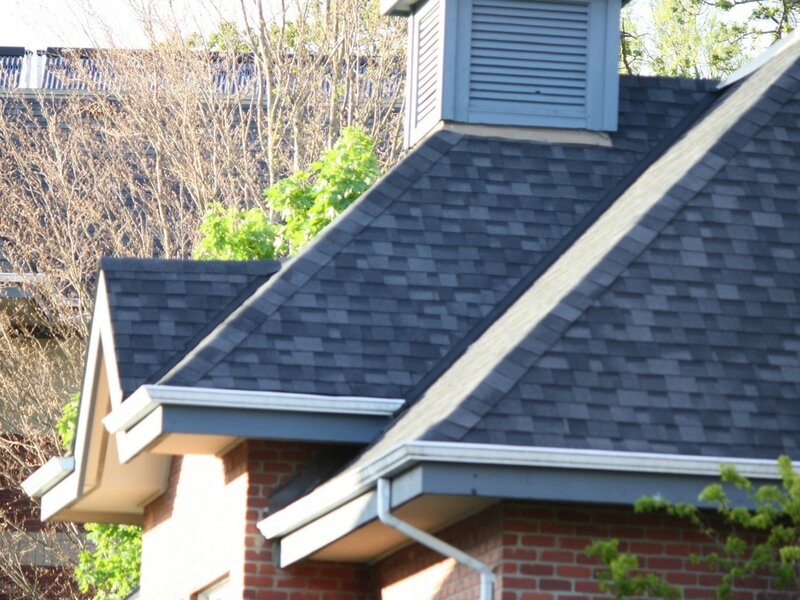 Proline Roofing & Gutters proudly serves residential and commercial sloped and flat roofing and/or gutter services to the greater Victoria BC and surrounding area(s), as well as around Southern Vancouver Island. Please consider giving our REST approach a chance (Reliable, Ethical, Service & Trustworthy) - call or send an e-mail and our friendly office staff will ensure you obtain answers to all your questions from our experienced estimators in a timely fashion. At Proline Roofing and Gutters we work harder every year in order to serve you - our valued customer - better in every facet of business! 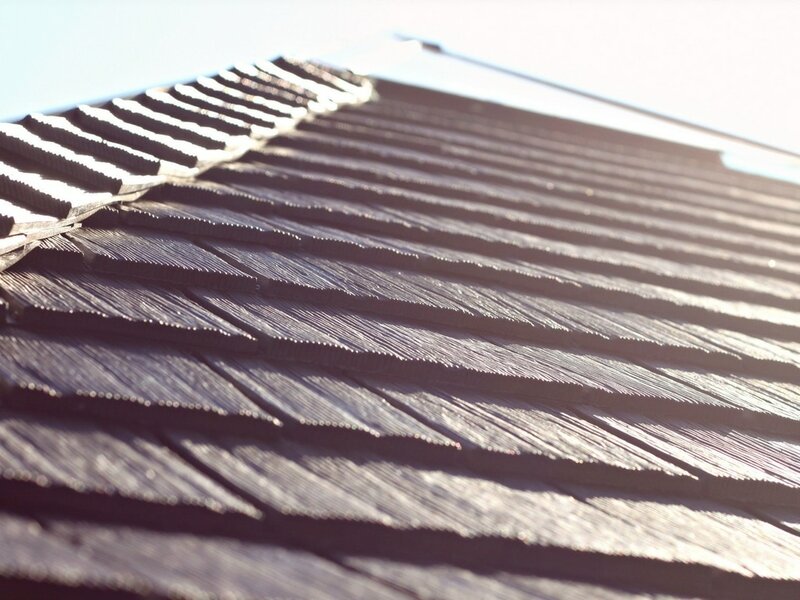 We are a Victoria based roofing company that delivers quality service to Salt Spring, lower Vancouver Island, Mill Bay, Cowichan Bay, Shawnigan Lake, Duncan, Nanaimo and Parksville and surrounding areas. Please note that during peak/busy times of the year, we are typically only servicing Victoria. Please take some time and look under the Roofing and Gutters 'REVIEWS' menu and read some of what our loyal customers are saying about the work we do. The “roof over your head” saying comes to mind – it is such an essential part of the home, and as a result, needs to be installed as well as maintained and cared for meticulously. Proline Roofing Ltd. has performed roof installation services on many local apartment and retail buildings. Our dedicated gutter division has been serving the greater Victoria area since 2007 and offers 5"K style continuous aluminum gutters and 2 5/8" square and 2"x3" aluminum downspouts in 19 different colors. It's always an honour to receive awards, especially when it comes from our customers. 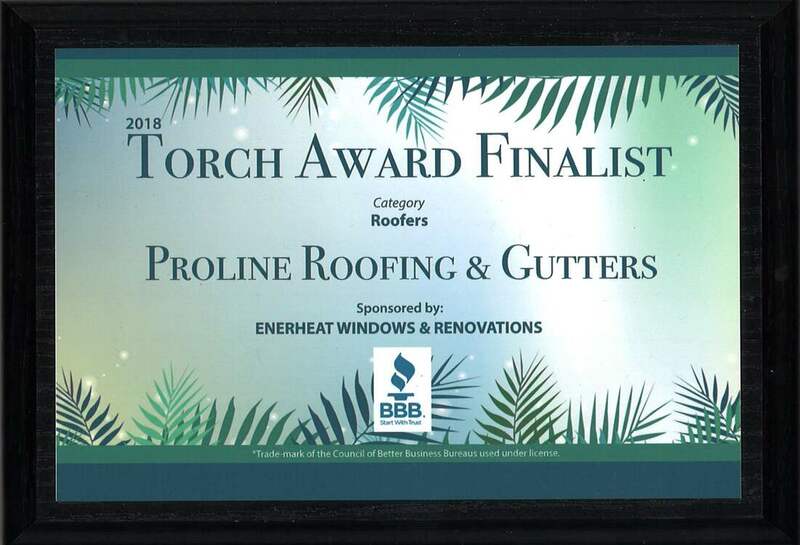 The Better Business Bureau showcases the best of the best every year at the Torch Awards and they have named Proline Roofing a number of times over the years. We strive for excellence in every project that we execute, and we are very thankful for the recognition we receive.